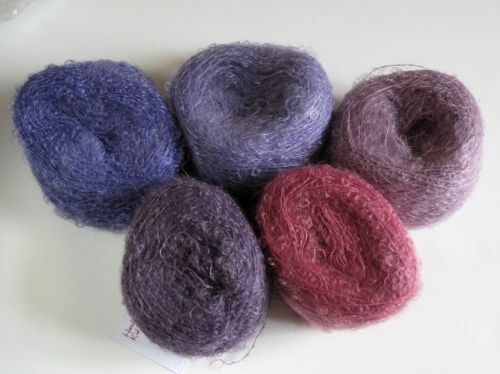 Adele's Diagonal mohair shawl kits. 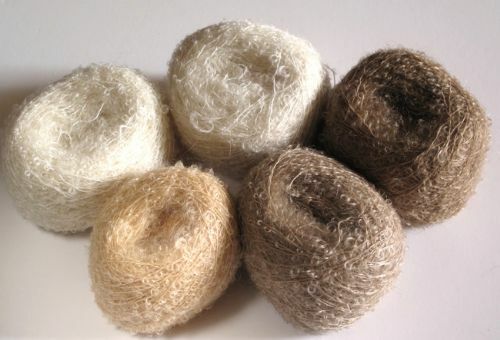 Mohair of the finest quality. 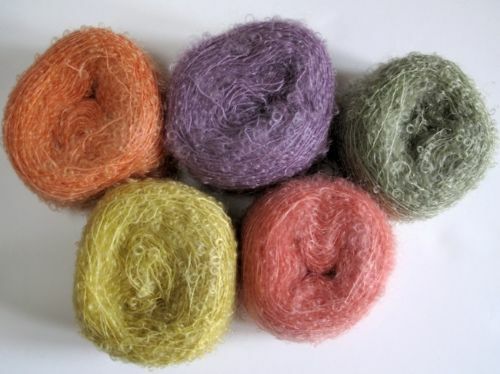 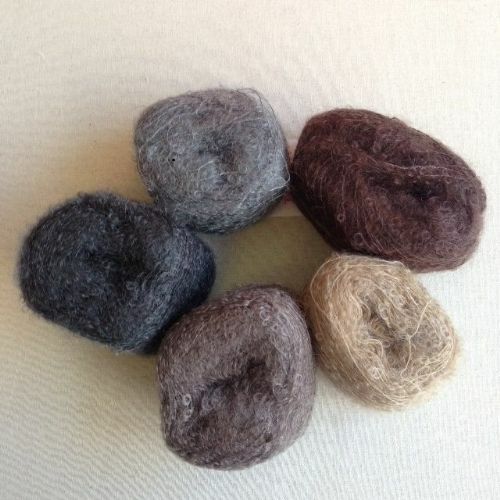 Packs of 5 balls of mohair in various colours and the pattern to knit up, creating a shawl or wrap of diagonal stripes. 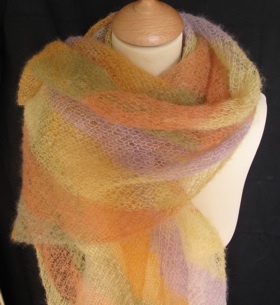 Great as a shawl but light enough to wear as a scarf. 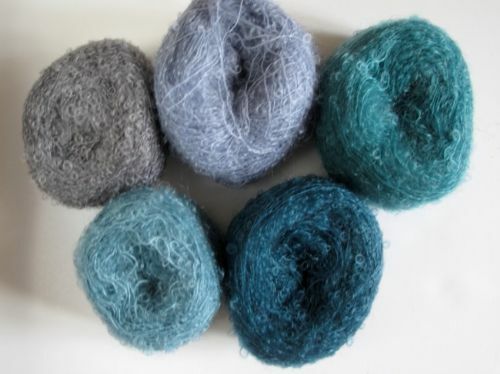 Has been described as coloured air.